Good food, good friends. That’s our motto. You’ll Love our Chef’s Nightly Specials. Browse our menu then stop by some time and see us! 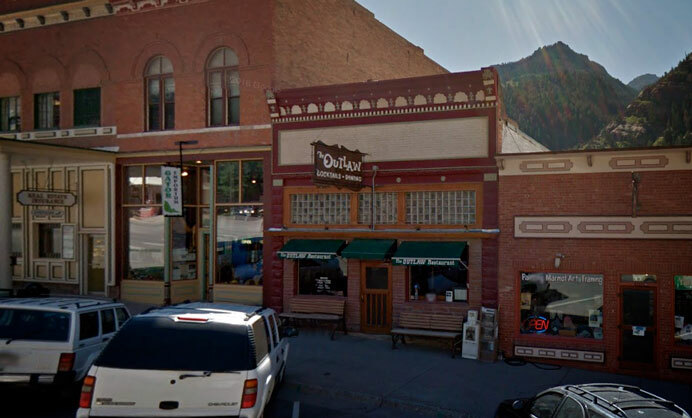 We’re located on Main Street in Downtown Ouray, Colorado. Joe Bonatti purchased the Bonatti Building next to the Citizen’s State Bank in 1937. He also purchased the Outlaw Building from John Cresto. In 1946 a Rio Grande Trailways bus broke loose across the street and crashed through the front and 2/3 of the length of the room. The counters and fixtures were smashed to kindling along the front of the cafe. Accidents often result in improvements, which was true in this case, as the cafe was restored. By 1947 Rudy Bonatti had graduated from Fort Collins Agricultural College, returned to Ouray and was proprietor of the cafe. On December 10, 1948 Joe Bonatti passed away. Joe was born January 17, 1874 in Barangia, Italy. He came to America in 1894 to join a brother who lived in Central City, Colorado. He then came to Ouray where he met Christina, whom he married in 1917. JOE BONATTI SUCCUMBS TO SHORT ILLNESS. Resident of community for half century, successful businessman, acquired fortune, a resident of Red Mountain and this city for the past fifty years and one of the most widely known of the remaining old-timers of the Triangle, died in the arms of his wife late Saturday afternoon at his home here. About 1905 he started a saloon at Red Mountain when there were more that three thousand people there. He then came to Ouray…For the past eleven years he has operated Joe’s Pool Hall where he was engaged when he passed on…At the time of his death he had three sons and a daughter. The sons served overseas in the armed forces during World War II. They were Albert, Rudolph, and Francis. Their daughter’s name was Edith. After Joe Bonatti’s death the restaurant in the “Outlaw” Building recieved a new proprietor named Homer Novel. Novel gave the restaurant a new name, “Pick Cafe and Bar.” In July of 1950 Marion and Charlie Jones were in charge of the food concession. In 1952 Mr. and Mrs. Felix Devincentis leased the Pick Cafe from Christina Bonatti. In 1969 George Verges became the proprietor of the Pick Cafe and Bar and changed the name to The Outlaw. A new, good looking wooden sign, made by Bob DeJulio of Montrose replaced the former neon sign. In 1972 George Verges sold the restaurant to Paul J. Klein and his wife, Lois. They continued to manage it until their deaths, Paul on May 8, 1987, and Lois, shortly after, on January 14, 1988. Another member of the Bonatti family is world famous mountain climber Walter Bonatti. Finally in 1994 while speaking at the Telluride Film Festival, Walter met his surviving Bonatti family. The Bonatti’s immigrated to Ouray in the early 1920’s buying the Outlaw Building. Their granddaughter Chris sold in April 2009 to the Choates. 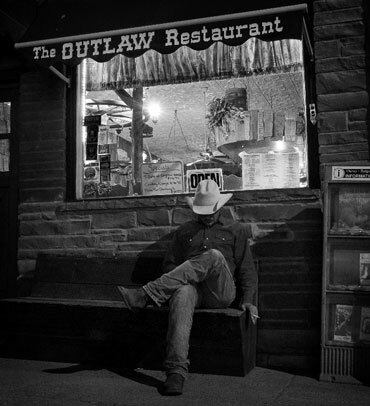 It has been a restaurant since the 1940’s and The Outlaw since late 1968. We welcome you to it’s western charm & friendly atmosphere, adorned with old family photos, the Duke’s Hat & other memorabilia. Come in where past and present merge.